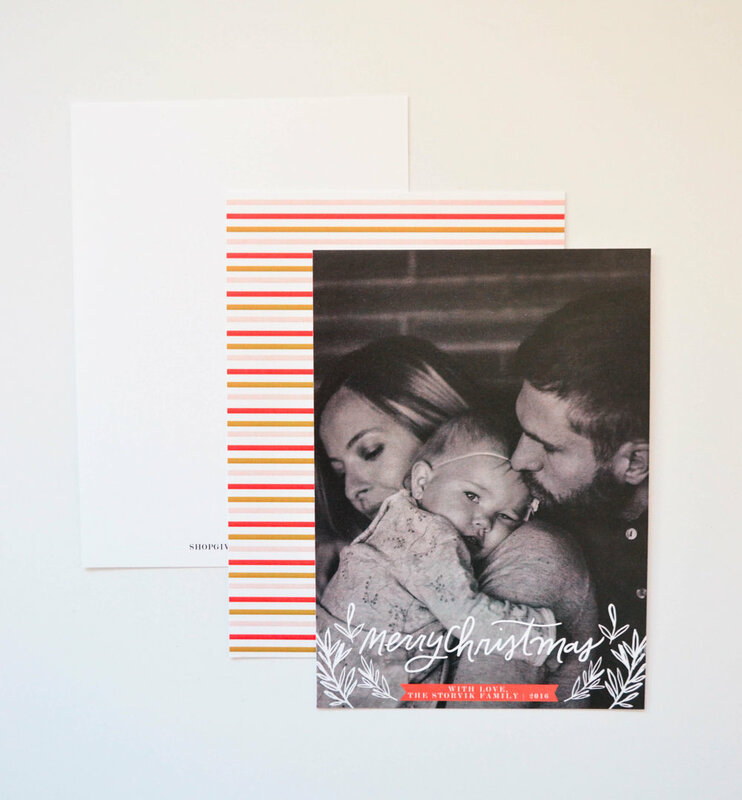 Purchasing a Christmas card from give with joy means you get a bit more customization. This year's collection is simple and are reminders of peace, joy and hope as you send them out into the world. Choose a design, select the cards per set and complete the form. When completing the form, note that you can modify the colors if you choose. You can also choose the backer. Within the forms I have listed the backers you can choose from for each design. There's also a Year in Review option. If you want more of a "family letter" style for the back then this is your best fit! It's an add-on in addition to the card you purchase. Once your form is complete and you've made your purchase, I will send a draft for edits and approval 2-3 business days. Once we have a final approval, I will print your cards and ship them all within a week. If you prefer to do your own printing, then select Digital File Only. Within the form you will note the title of the card you would like to purchase. After your purchase is complete, I will send you a file for edits and approval within 2-3 business days. I will send a final file to you in the format you need it in. Finally, if you love the give with joy, but are looking for something different, you can purchase the Custom Design. We will work together creating the perfect Christmas card. I can send a digital file for printing or I can print them for additional charge. This collection was a labor of love and I'm excited to share it with you. I love sending out Christmas greetings each year. Sharing how my family has changed and spreading some cheer. Every year, I use the Year in Review card! Cheers to a joyful season!